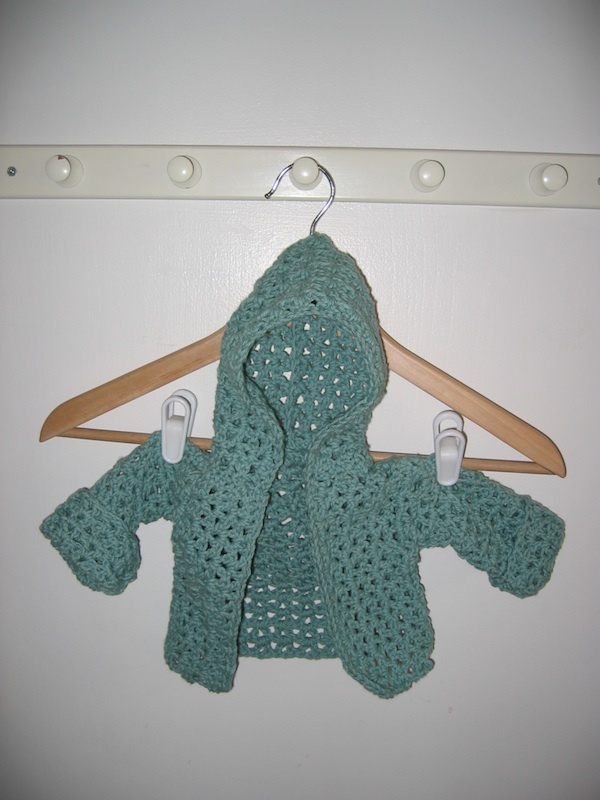 Shannon & Andrew's Blog: Blake's first mom-made sweater! All of my friends post the fun things they knit or crochet on their blogs so I am going to start virtually displaying some of mine. Here is my first attempt at a crocheted baby sweater. It is so tiny so I hope I have enough energy to someday make a bigger one. I still need to attach a fastener. That is super cute I will email my blanket picture today.